It’s a winter wonderland! 25″ of snow since I last wrote a week ago. Not too shabby. We are closing in on 100″ for the season and need just six and a half more inches to get there. It’s looking pretty promising for that mark to me met by the end of this week. I would have to say that the area is in full winter mode now. Plow banks are nice and big and a few have already been cut back by the snow-go’s. I’ve seen a few roofs being shoveled and most locals have that game face on. It is not an angry or upset one, or even scared. It is more like: “Oh, another 8″ of snow today, no problem…”. There are not too many places where that happens. I guess one could say it is something to brag about, but very few locals brag about it. It is just simply the way things go up here. We are not on a record pace for the season, but not too far behind either. 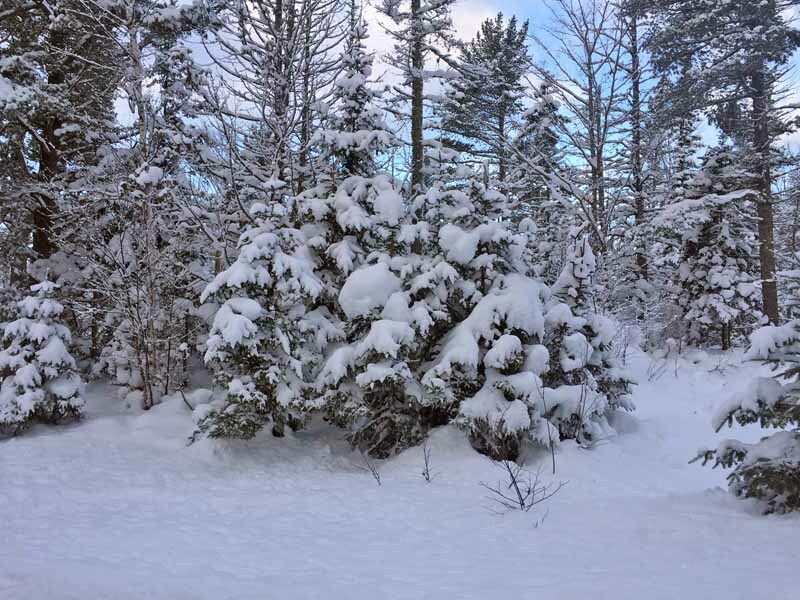 A good snowy week or so (25″ is medium-snowy!) would put us right in the running. In the record breaking year of 78-79, we hit the 100″ mark on December 11th. So we are lagging behind, but still within reach if we keep up a good pace. I really do not know if that record year will be broken. It is quite a feat when you think about it. 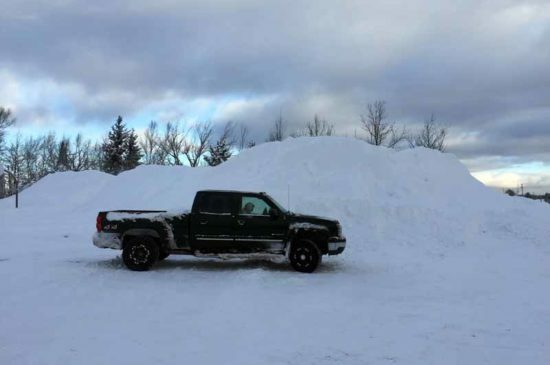 nearly 400″ of snow in around 6 months. What makes it that much harder is the fact that there is a bit of a conundrum in the fact that about 70% of our snow comes from lake effect and the very thing that produces the lake effect also works to defeat it as the season goes on. We need the cold to produce the lake effect, but the longer it is that cold, the more ice that forms on the lake. The more ice that forms on the lake, the less lake effect we get! So there-in lies the problem. I have often wondered just how that winter of 78-79 was able to pull that off. I was not around then and while I do have the daily snowfall and temperature data from that season, there really is no data to say how each snow event happened. Best I can figure, much of the snow through early January was lake effect or lake enhanced and then as the lake got more ice covered, system snows were plentiful and regular. I do know that there were big storms into March and even early April that year, so that is why I said in an early entry we need to go close to full speed from start to finish. Another thing that will help is the temps that produce the lake effect. It might be thought that the colder it gets, the heavier the lake effect gets. This is not true. As the air gets colder and colder, it also gets drier and drier. So it is harder for the lake to put enough moisture into the air to cause the flakes to be large enough to accumulate at a good rate. 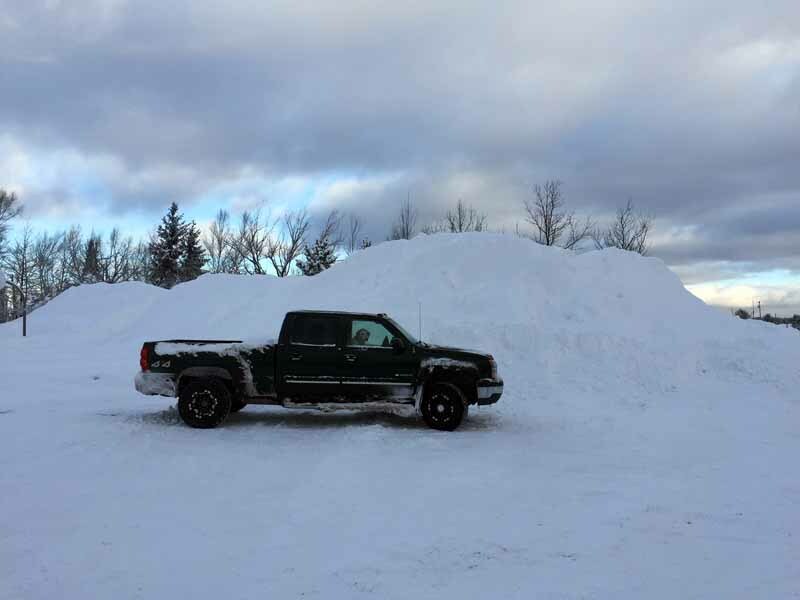 In cases where bitterly cold arctic air is spilling down from Canada and keeping places like northern MN in the -20’s for daytime highs, we are usually around 20 degrees warmer and it is snowing, but the flakes are very small and do not pile up as quickly. The best temperature for the heaviest lake effect is actually around 18-22 degrees. At that temp, the air can still have enough moisture in it upwind of the lake that the lake can provide the extra needed to produce the heavy snow. The air is also plenty cold enough to cause the air that is warmed by the lake to rise nicely. If you can add some natural moisture in the air around 5000-8000 feet up and keep the air unstable enough, then then you can really get some decent snow to fall. There is actually a zone in the atmosphere where most of the snow is made. Meteorologists call it the “dendrite growth zone”, or DGZ. It is not always at the same height above the ground and does depend a lot on the air temperatures of the atmosphere aloft. But if you can put lake moisture into the DGZ, you get big beautiful flakes to fall and those big flakes pile up quicker than the small ones. Such was the case Wednesday afternoon when we had some beautiful, big flakes falling from the sky. That was taken around 4:30 in early evening as I was out grilling dinner, but we had some decent snow fall for much of the afternoon and evening and ended up with around 8 1/2″ for the 24 hour period from 7 am Wednesday to 7 am Thursday. The snow was so light and fluffy that it could be moved off the vehicles with a broom, but 8.5″ is 8.5″ when adding things up! I am sure that I am going to get ribbed pretty hard for saying this, but I have not yet been out on a ride! I had full intentions to do so yesterday, but I woke up feeling pretty run down and just decided it would be best to take it easy for the day. 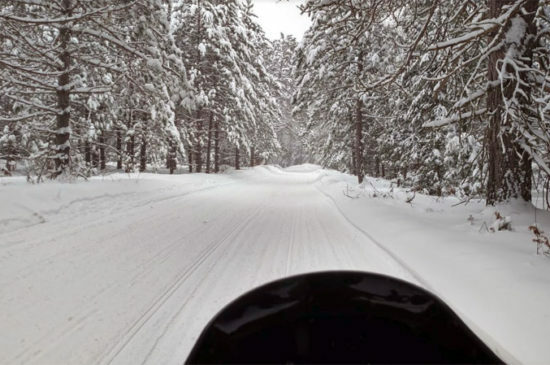 It was a pretty hard decision to make, as I could have ridden with good friends in great snow, but as one of the friends I could have ridden with said; “the winter is just starting and there will be lots more chances”. I believe he is right. There will be plenty more chances to ride. One of the reasons why I was a bit tired is that the day before was a pretty busy one for this old buck. I had the usual waking up at around 4:15 to start work. Then had quite a busy day of taking care of business and even moving some snow. 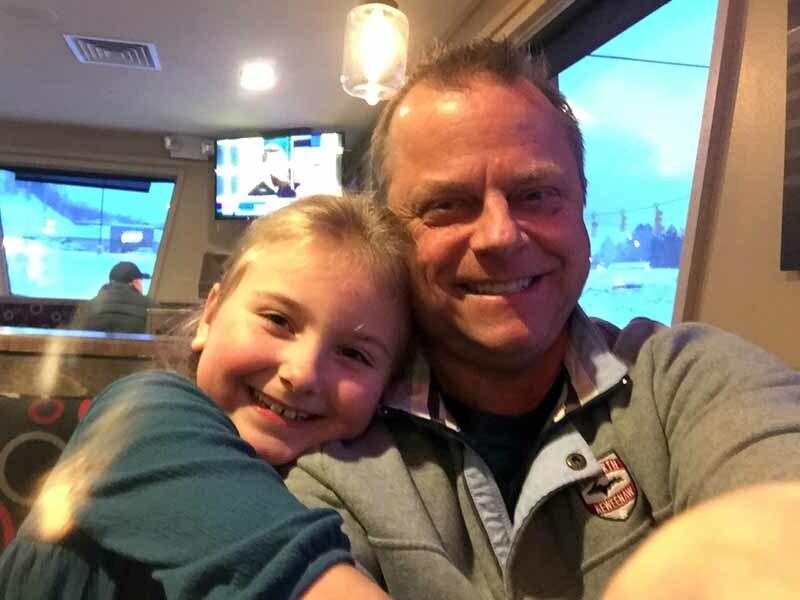 Then as I was finishing up moving snow, the girls got home from school and Gracie and I got cleaned up and ready for our Daddy/Daughter date night. It consisted of heading down to Houghton to grab a bite to eat and then take in the new Star Wars movie. We are both big fans of the Star Wars movies and were excited to be seeing the first showing of it up here in the Keweenaw. I actually pre-purchased out tickets and we got there about an hour before it was to start, so that we would be able to get some good seats. We got some very good seats, a big bag of popcorn and water and enjoyed the show. I am not going to spill a single bean about the movie, but I will say that if you are any kind of a fan of the series, go, you will get your monies worth, just like all the other episodes. So it is hard to believe that in one week it will be Christmas Eve! Gracie is pretty excited, but not climbing the walls…at least not yet. Actually, she has never gone absolutely nuts in the lead up to Santa’s arrival, but certainly does get excited. Who doesn’t? Right! 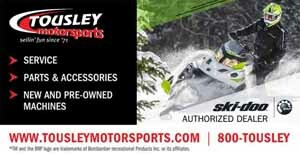 For those wanting to come up and ride, there really is no excuse. The protective mat and layer of snow was put down on the lift bridge between Houghton and Hancock, so crossing it is a no-brainer now. Our trails are all being groomed and are in pretty decent shape. We still have a couple of closures due to some logging that is being finished up, but we have been told that the loggers will be done this week. Those trails are 132 from Delaware to Lac La Belle and 124 from Gay to Phoenix. 133 has some logging going on, but we will be able to use the trail when the loggers are in there, as we will not have to ride through their logging operations or even share the roads with the, just cross the road that they are using. We are also working out some issues with a land owner on 133 and are hoping to have that resolved in the next week or so. Well, I guess that will do it for this one. I will try my hardest to write next Saturday or Sunday, but with all the festivities cannot make any promises. So just in case, Have a Merry Christmas Everyone!